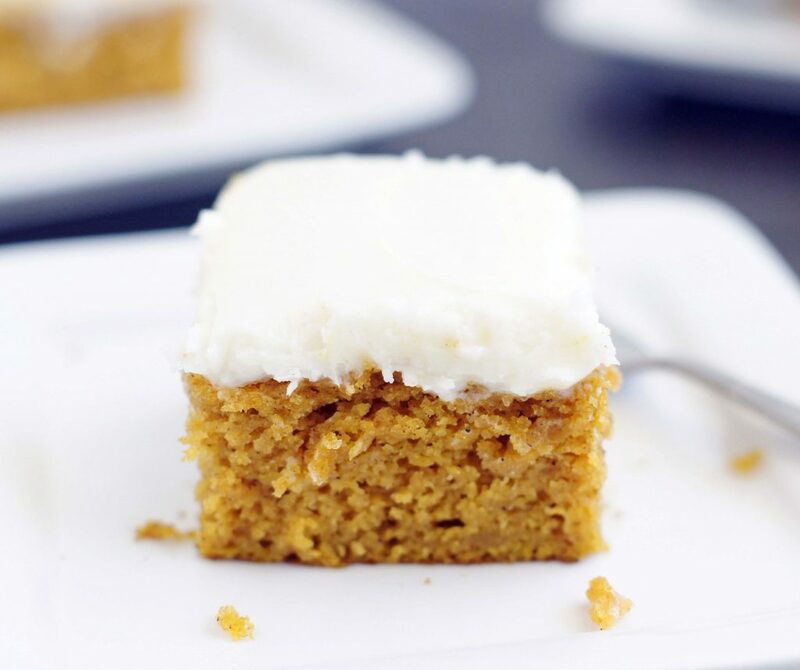 These Pumpkin Bars with Cream Cheese Frosting are moist, slightly dense and so, so good. The cream cheese frosting, well, it’s literally the icing on the cake! I was thinking I should probably apologize for posting two pumpkin recipes in a row, but that thought only lasted a few seconds. It’s pumpkin season and I’m taking full advantage of it. I hope you’re not sick of it yet. I’m certainly not. I realized the other day that with all the pumpkin recipes on my site, I’ve never shared my favorite pumpkin bars. . . gasp! 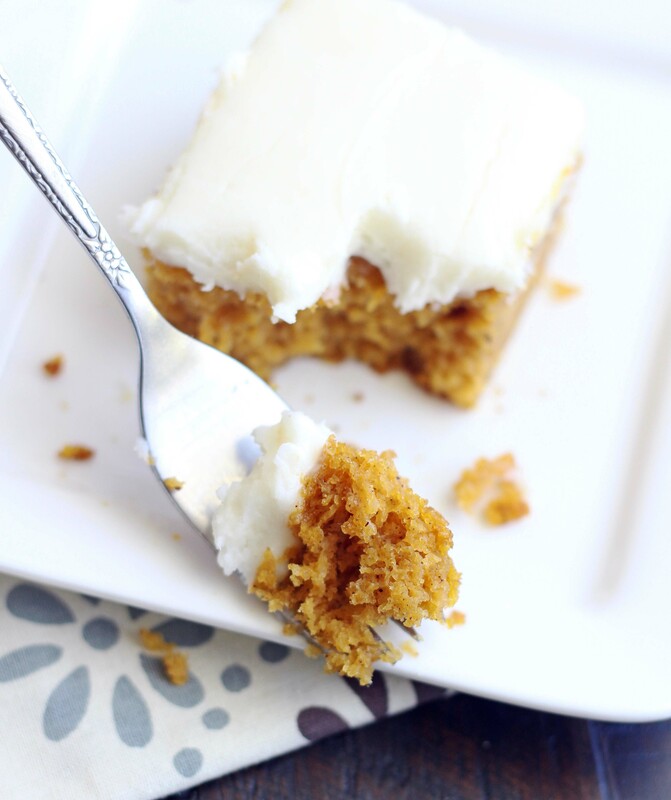 Um hello, pumpkin bars with cream cheese frosting are a must have. So I’m fixing that problem today by sharing this recipe with you. 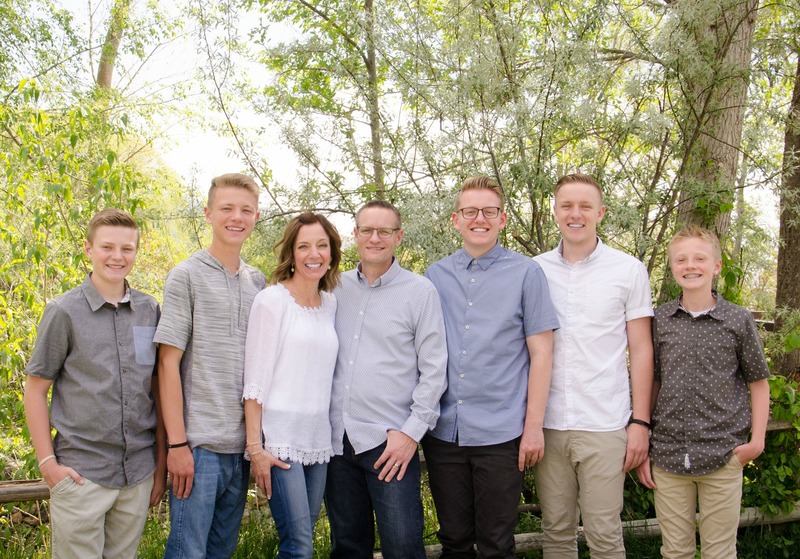 After I made them the other day, I had to leave to go to parent teacher conferences so I left a big note by them that said “please do not eat!” I never know when I leave my house, what my boys might try and sneak. There are recipes all over the web that claim to be the “best ever” pumpkin bars. I’m not going to make that claim (even though I think these are the best! ), I’ll let you decide for yourself. 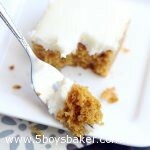 Even if you’re not a huge fan of pumpkin, with that delicious cream cheese frosting, how could you not love these? Spray a 9x9-inch pan with cooking spray, set aside. Preheat oven to 350 degrees. In a mixing bowl, combine oil, eggs, sugar, vanilla and pumpkin, mix until well combined. Add flour, baking soda, baking powder, salt, cinnamon, ginger, and cloves. Mix on low until just combined. Bake @ 350 for 25-30 minutes or until an inserted toothpick comes out clean. Cool completely. Then frost with cream cheese frosting. To make the frosting: Beat the cream cheese, butter, and vanilla together until smooth. Add powdered sugar and beat together until smooth. Jodi, I made this yummy cake this weekend and it was outrageous. I love that it made a small amount. We had a couple of slices and I froze the rest for my college son, who is coming home for the holiday this weekend. He will love it. It was so moist and the frosting was fantastic. Thank you so much!!! Hi Teresa! I’m so happy you loved these! I too love that it makes just a 9×9 size. I’ve thought about trying it in a 9×13 to have a thinner cake/bar, but I kinda like the thickness of the bars. Thanks for the comment. Take care!